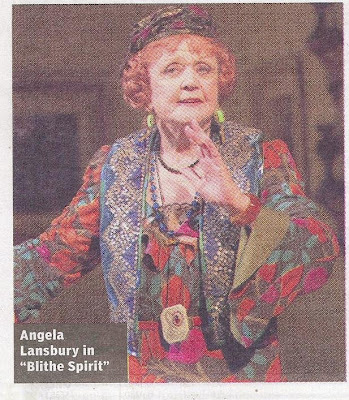 "She's the official "psychic consultant" to the Broadway revival of Noel Coward's "Blithe Spirit," opening Sunday, in which Angela Lansbury plays medium Madame Arcati. To get the late playwright's take on the production, producers asked Roberts to channel Coward's spirit - a task for which a long list of New York area mediums were auditioned. This particular seance is shrouded in mystery, though Coward supposedly approved Lansbury's casting."